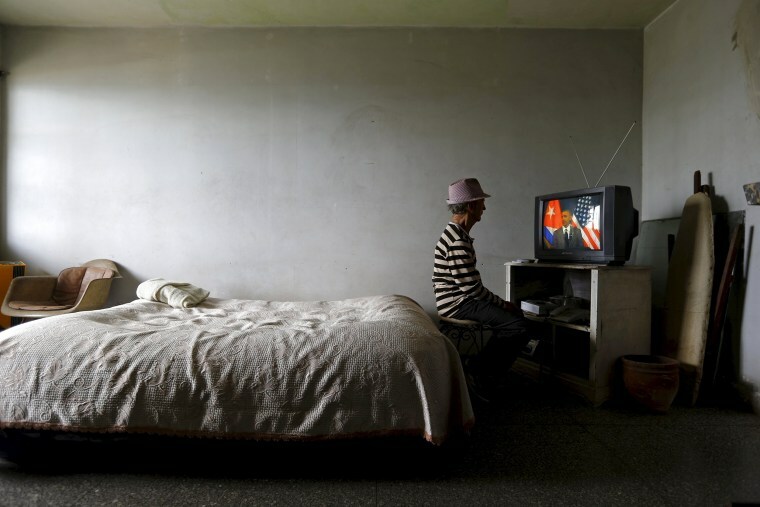 Obama on Cuban television, terror hits Brussels, a miniature shark and more of Tuesday's best photos. 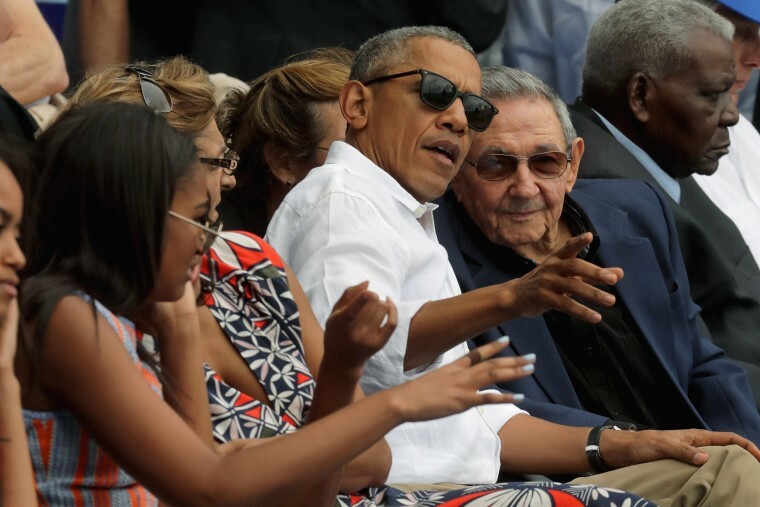 President Obama and Cuban President Raul Castro talk during an exhibition game between the Cuban national team and the Tampa Bay Devil Rays at the Estado Latinoamericano in Havana, Cuba. 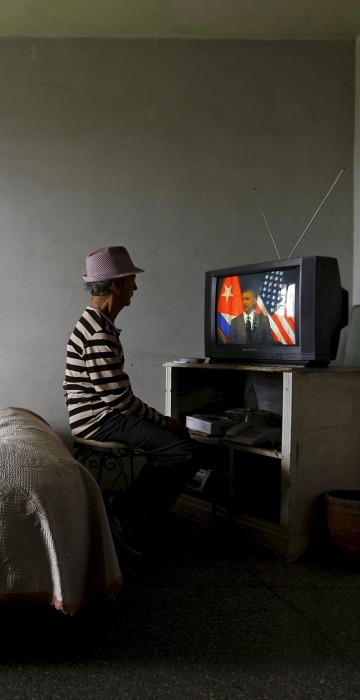 A man watches on television as President Obama delivers a speech at the Gran Teatro de la Habana Alicia Alonso in Havana on March 22, 2016. 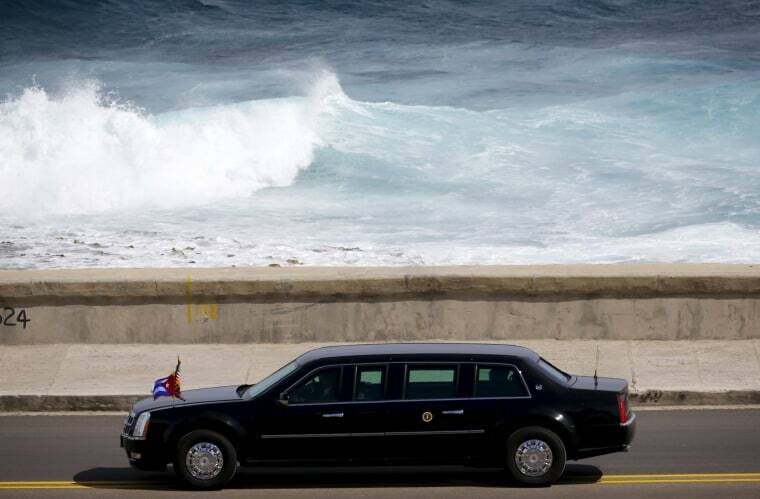 President Barack Obama's motorcade arrives at the U.S. Embassy in Havana. 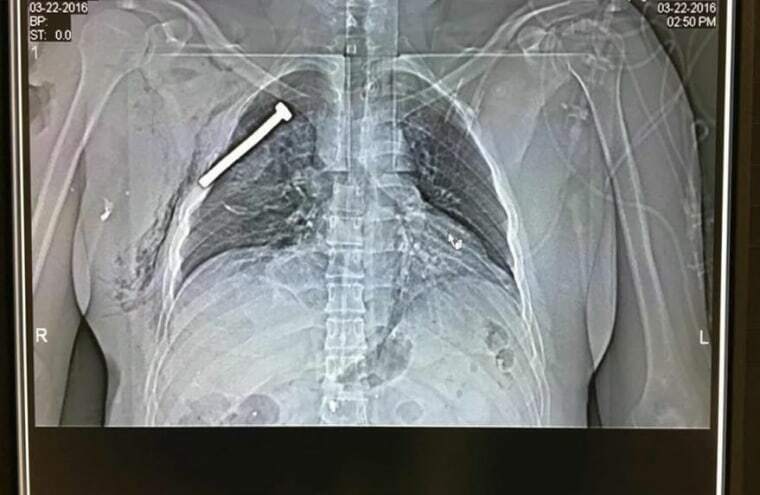 The x-ray image of a person injured during the Brussels terror attacks shows a large nail or screw in the chest of the patient treated at the Military Hospital in Neder-over-Heembeek, northern Brussels. ISIS claimed responsibility for coordinated bombings that killed at least 31 people at the airport and the subway on Tuesday morning. 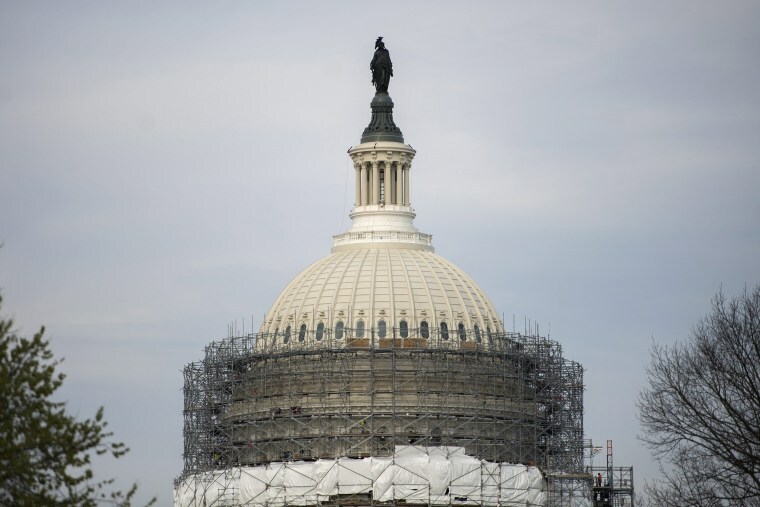 Workers remove the scaffolding from the restored Capitol dome in Washington. The dome had not undergone a complete restoration since 1959-1960 and due to age and weather was plagued by more than 1,000 cracks and deficiencies. 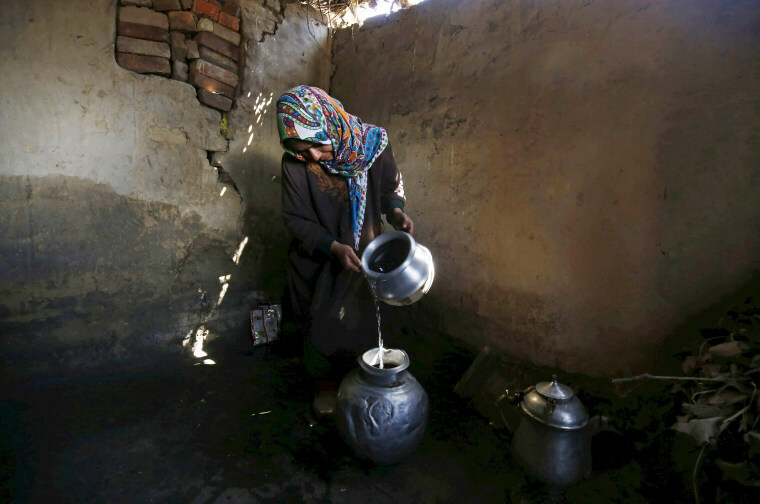 A Kashmiri woman fills a pot with water after collecting it from a river in Pattan, north of Srinagar, the summer capital of Indian Kashmir. World Water Day is observed on 22 March every year. One in 10 people lack access to safe water. 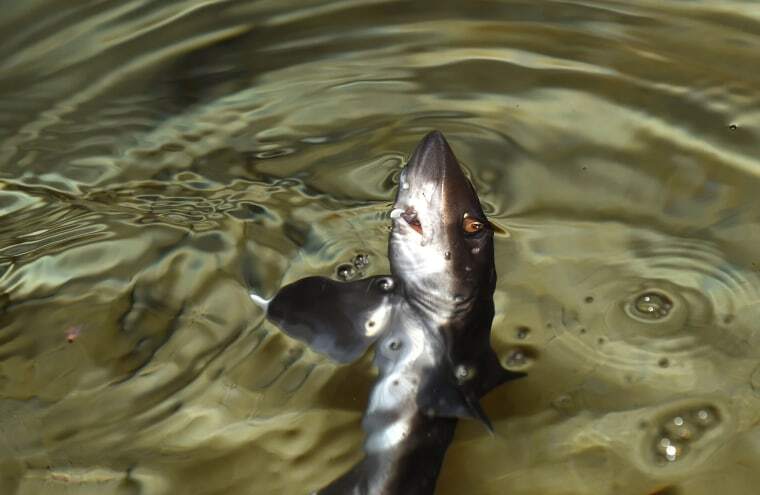 A young houndshark, roughly two-months-old, swims in a so-called shark nursery at the AquaDom and Sea Life Berlin in Germany. 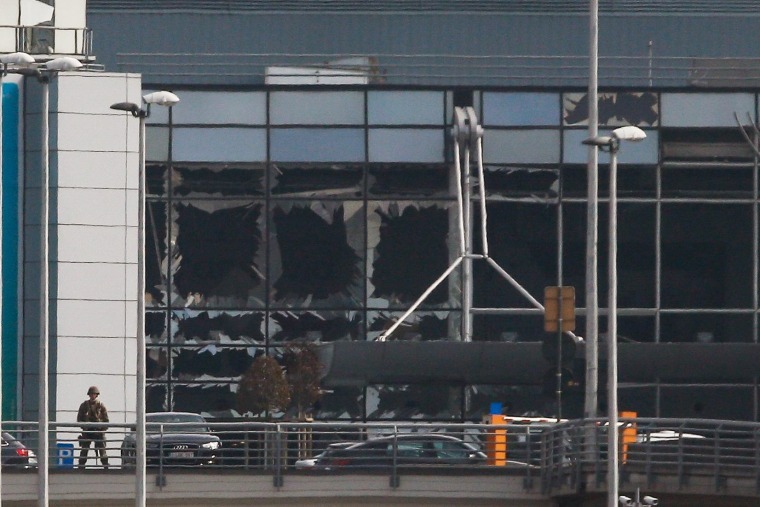 The windows at the terminal building are shattered after explosions at Brussels Airport in Zaventem, Belgium. Two explosions rocked the departure hall and a short wile later blasts also occurred at the Shuman and Maelbeek metro stations. 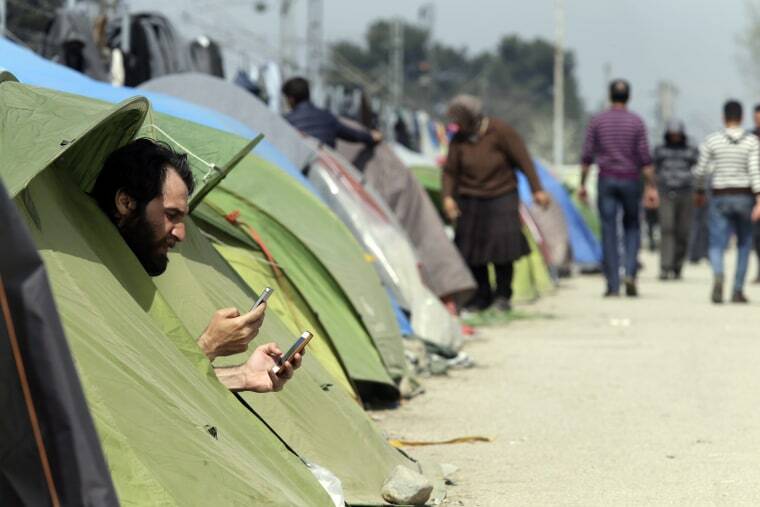 A migrant use his mobile phones at the Greek-Macedonian border in Idomeni, Greece. Migration restrictions along the so-called Balkan route, the main path for migrants and refugees from the Middle East to the E.U., have left thousands of migrants trapped in Greece. 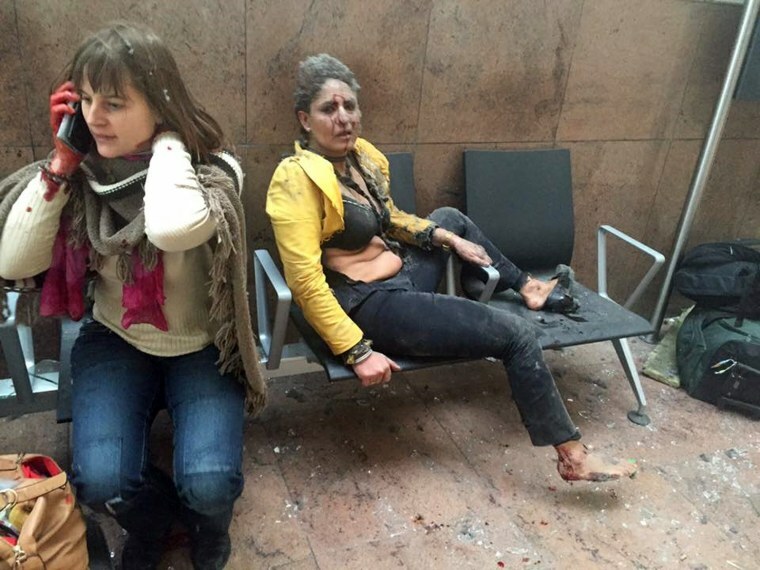 Two wounded women sit in the in Brussels Airport after explosions ripped through the departure hall.